Though, tragically, Charlotte and Gerard had many children that did not survive until adulthood, there were some that did. 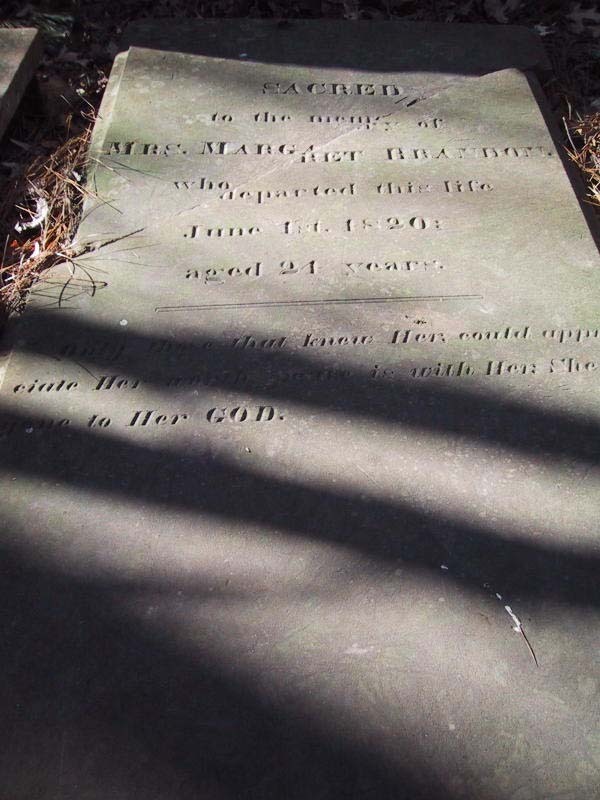 My research shows that the couple had, at least, thirteen children; eight of these perished and five lived to adulthood and married - with a few having children of their own. (Gerard, Pauline, and Charlotte Brandon). (Geraldine, Philip, Joseph Jr, and Mary Peirce). (Charlotte, Anna, Agnes, and David Stanton). Charles married but - to my knowledge - had no children. Mary married but - to my knowledge - had no children. These surviving siblings, their children, and their children's children are the continuing Brandon family line. As I find where these family members are laid to rest, I will record that information on their individual pages. Most of the grave links on this site will go to the Find A Grave website. 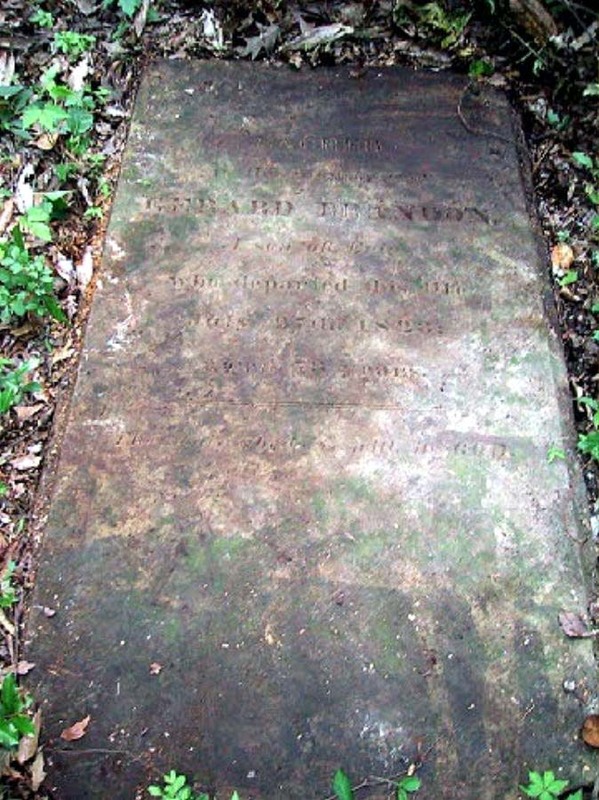 I wish to thank the Find A Grave admins and the wonderful FAG community, some of who have been invaluable in helping me find some of these graves. Thank you all. 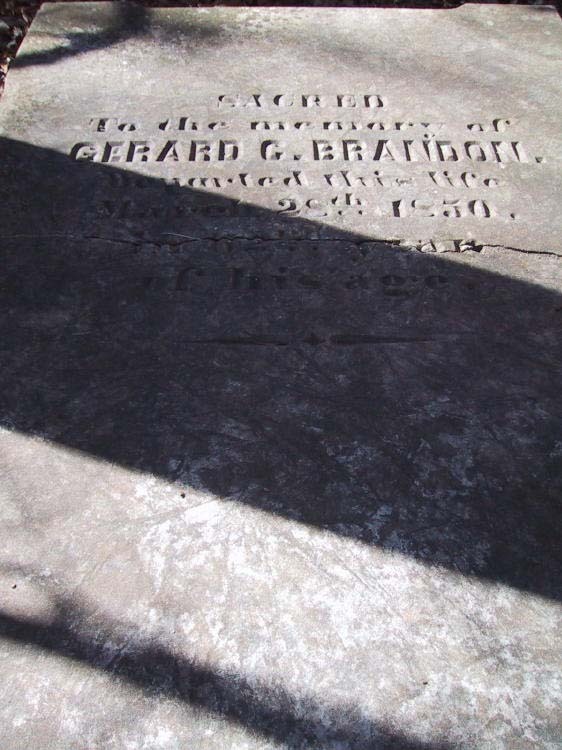 And an especially heartfelt thanks to G.B.R., a Brandon descendant, who was kind enough to share the photographs of Gerard, Margaret, and Gerard's graves. At the family's request, I will not divulge the location of these graves. Thank you for contacting me; it means so much. These are family graves on private land, shared with me by descendants of the Brandon family. All those that knew Her, could appreciate Her which ? is with Her; She ? to Her GOD.